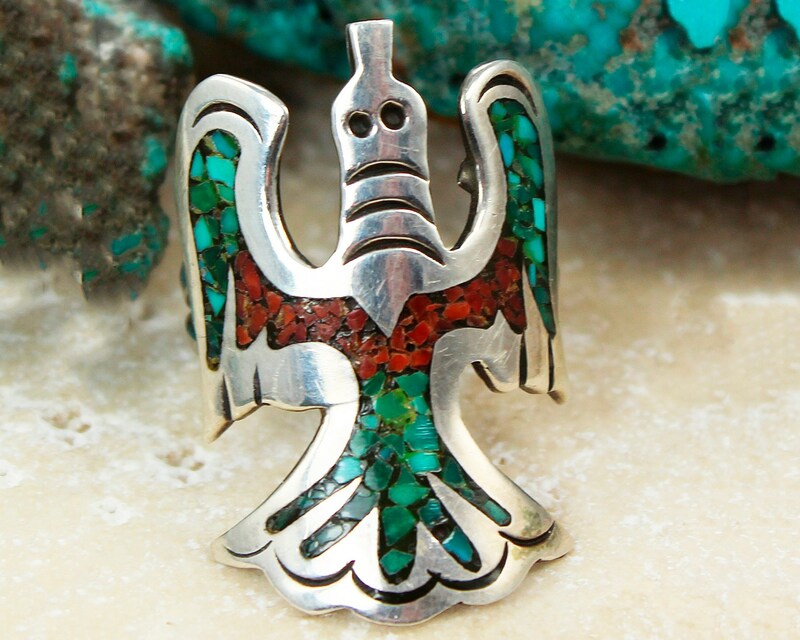 Vintage Peyote Bird of Sterling Silver Turquoise and Coral . 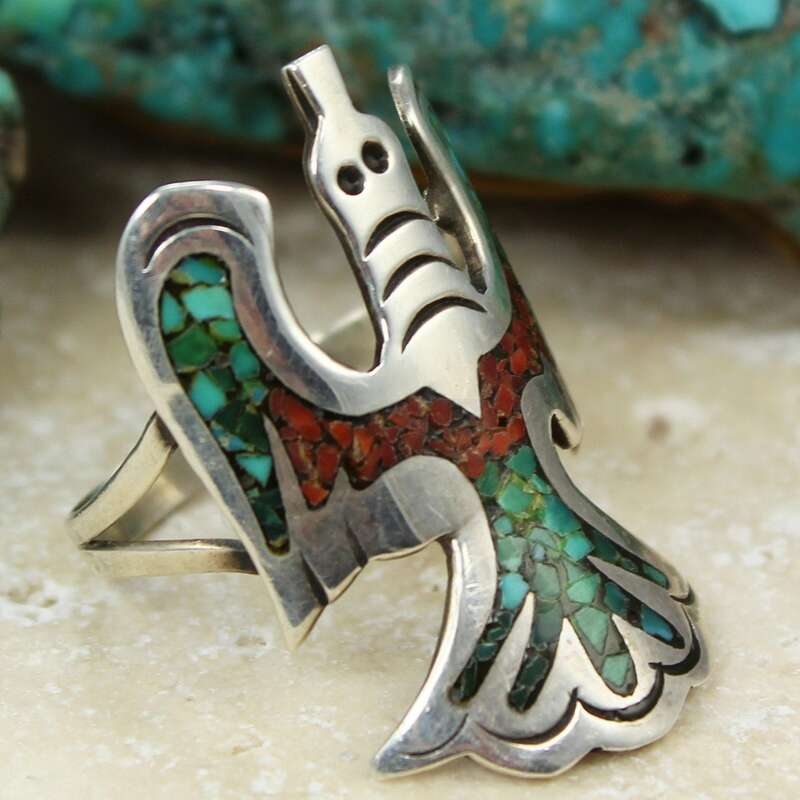 Made in the 1970's, this Southwestern ring is decorated with crushed stone mosaic of turquoise and coral. 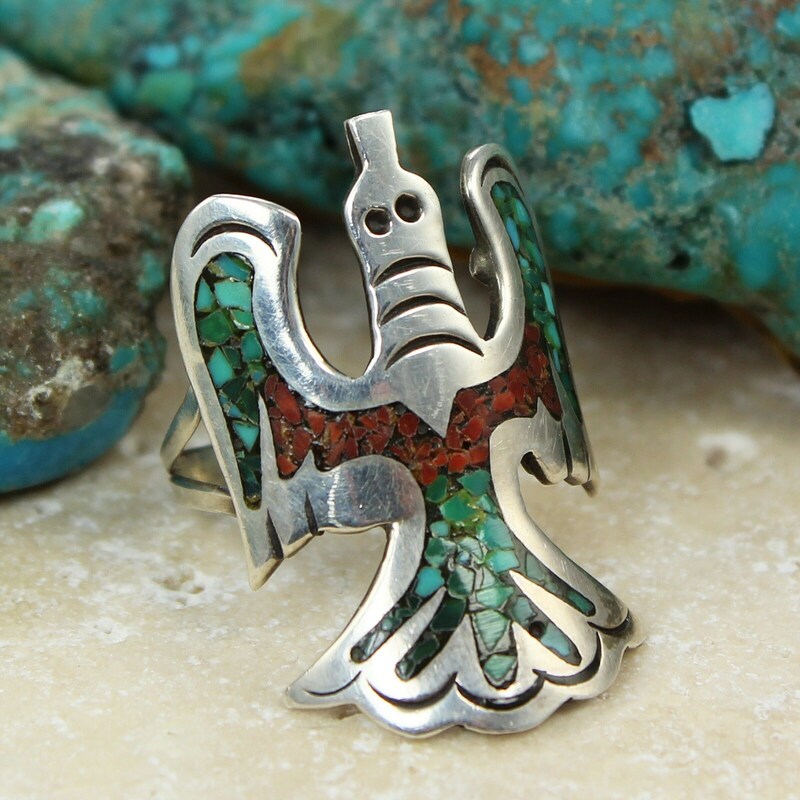 This ring is part of a collection of New Old Stock native American jewelry bought from a trading post that closed in the 1980s. 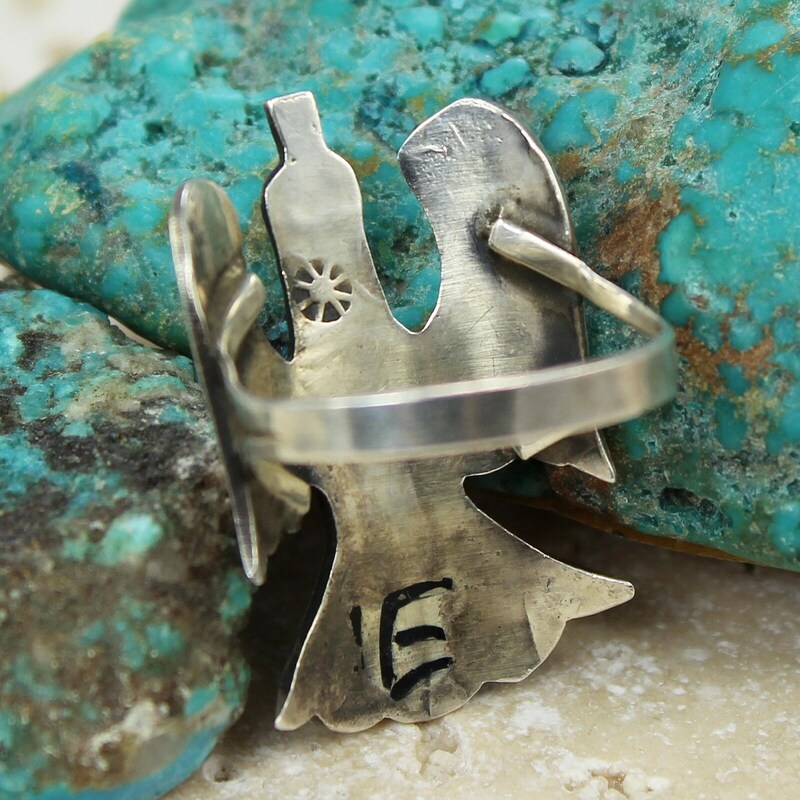 HALLMARKS/HISTORY: The piece is marked with a sunburst style maker's stamp. CONDITION: In excellent unworn condition, with some patina you may choose to polish yourself. This ring has never been worn. MEASUREMENTS: The rings top decoration is 1.19" long by 0.75" wide, while the band measures 0.13" wide between the shanks.